Regina-Leslie Estrada has been in Austin for 36 years and 22 of those have been dedicated to the hospitality industry. Regina is the General Manager of Joe’s Bakery & Coffee Shop, Inc. where she started working at 14 years old, cleaning tables on the weekend. During business hours, you will find Regina answering the phone and taking take-out orders, however, she is just 1/4th of the powerhouse that keeps the business going. 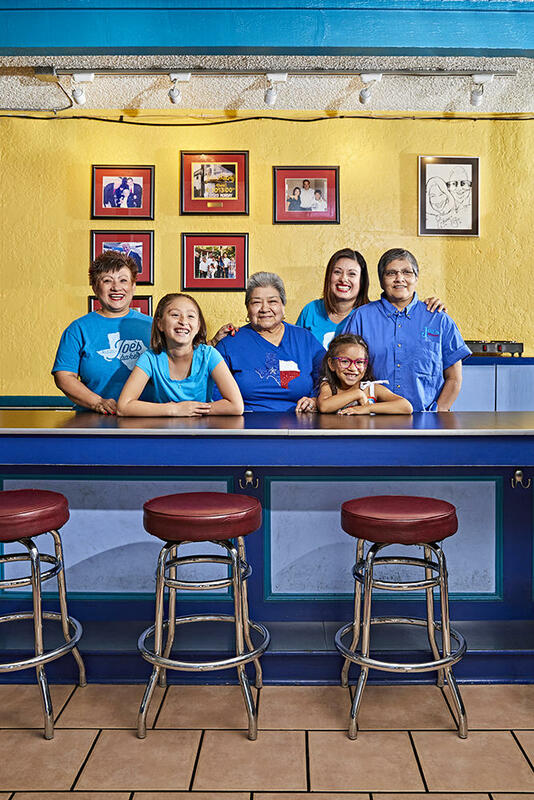 Together with her Mom - Rose, Aunt – Carolina, and Grandmother Paula, they run and operate Joe’s Bakery. She believes it’s a blessing to work with women who support, love and challenge her daily, crediting her mother, grandmother and aunt, who motivate her every day to be a better person. Photographed at Joe’s Bakery & Coffee Shop.